I notice that so many people in the corporate world lack assertiveness. I want you to know that this is a communication skill that can be learned. 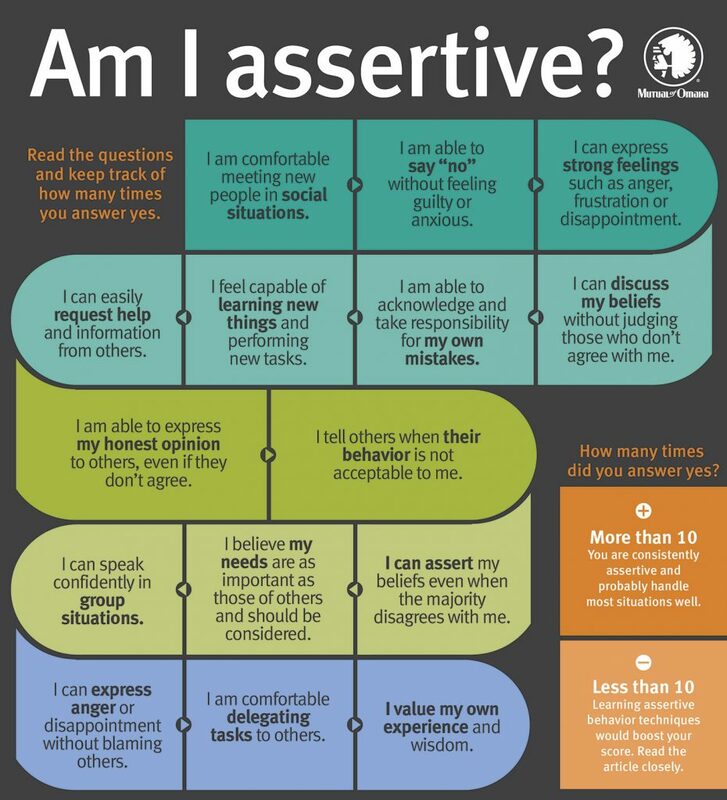 Take the little test on the picture above and you know where you stand on the assertiveness scale. The more you wait, the longer it takes. Just saying.